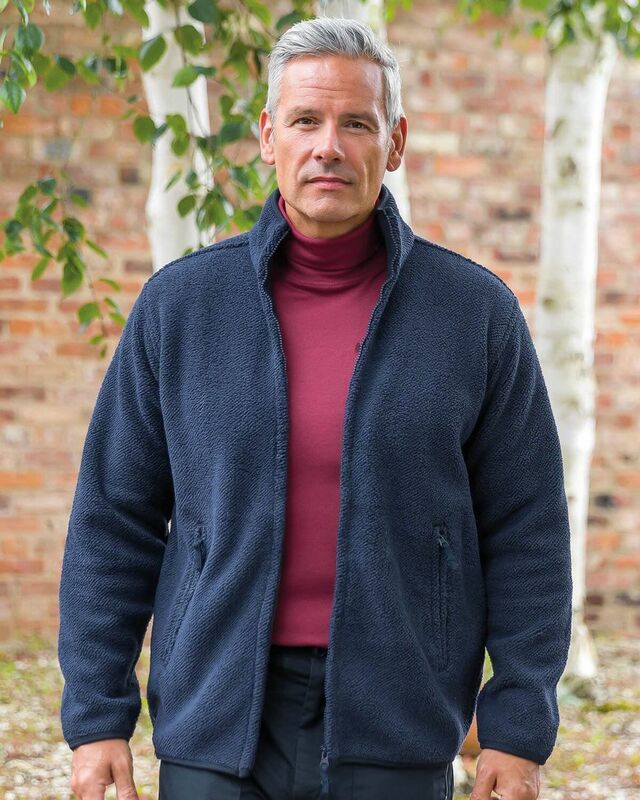 Warm zip front jacket. 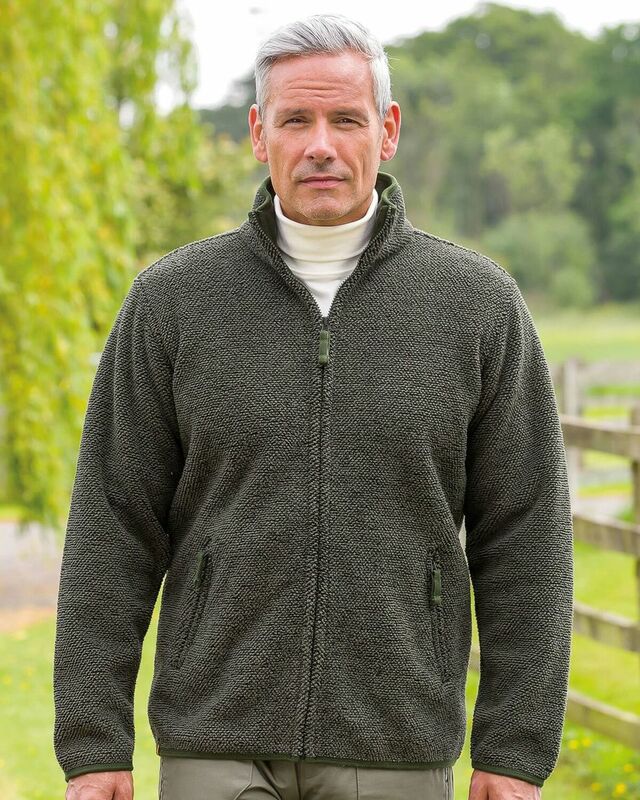 Textured 100% polyester fleece with front zip pockets. This jacket offers warmth and comfort ideal for the great outdoors.